Lawn & Garden Retailer is the number one publication serving independent garden centers in the United States. Published 10 times a year, Lawn & Garden Retailer presents subscribers with insight, answers, suggestions and tips to topical concerns of garden center professionals. Each issue contains the latest new products, successful merchandising techniques, event ideas, retail strategies and more. A twice-monthly enewsletter also is available to subscribers. 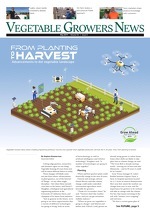 GPN is the leading publication for horticulture professionals. Published 12 times a year, GPN provide subscribers with the information they need to succeed in today’s competitive marketplace including the latest research, new variety information, production technology, business management strategies, industry news, trends and more. Additional enewsletters on horticulture-specific topics also are available. 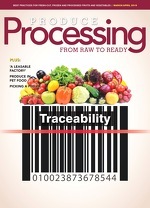 Produce Processing is the only publication devoted exclusively to all aspects and methods of processing and adding value to raw fruits and vegetables. Processors, grower/shippers, equipment and service suppliers and foodservice professionals all find information relating to their day-to-day operations in the pages of Produce Processing magazine. Published 6 times per year, including an annual buyers' guide, Produce Processing features industry profiles, research reports, governmental legislation coverage, industry columnists, news reports, new equipment showcases and much more. Plus, subscribers receive the monthly Produce Processing e-newsletter featuring exclusive content not seen in the print edition. Spudman is consistently rated the No. 1 choice among the nation's potato growers for industry news and information. Published 8 times per year, including an annual buyers' guide, Spudman features grower profiles, crop protection information, new seed and equipment guides, production tips, research reports, industry news and much more. 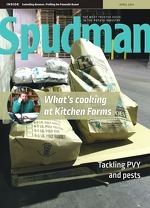 Plus, subscribers receive eSpudman, a monthly e-newsletter featuring exclusive content not seen in the print edition. VGN — Vegetable Growers News is the No. 1 choice among the nation's vegetable growers for industry news and information. Published 12 times per year, plus an annual buyers' guide, VGN features grower profiles, crop protection information, new seed guides, production tips, research reports, industry news and much more. Plus, subscribers receive eVGN, a monthly e-newsletter featuring exclusive content not seen in the print edition. 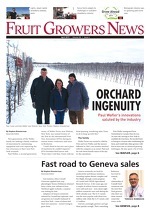 FGN — Fruit Growers News is the No. 1 choice among the nation's fruit growers for industry news and information. Published 12 times per year, plus an annual buyers' guide, FGN features grower profiles, crop protection information, new variety guides, production tips, research reports, industry news and much more. Plus, subscribers receive eFGN, a monthly e-newsletter featuring exclusive content not seen in the print edition.